Indonesia has a massive problem with discarded plastic waste. A company in Indonesia has created a plastic bag so eco-friendly you can eat it. It’s made out of cassava, the vegetable root which is a staple in the diets of many in Africa, Latin America and Asia, but which can also be used in manufacturing. 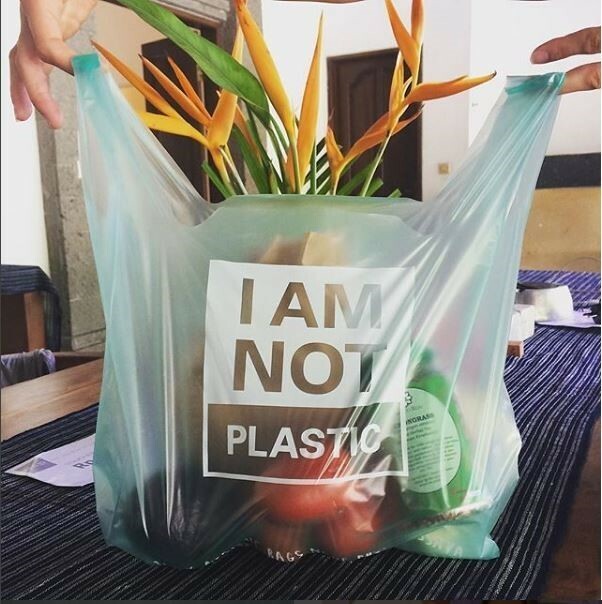 The company, Avani Eco based in Bali, has created a bag that they say looks and feels like plastic, but is completely degradable and compostable. It also dissolves in water, so if animals eat it, it won’t cause any harm. They say it’s so safe, in fact, that humans could even swallow it. Indonesia has a massive plastic pollution problem. Discarded plastic is choking its rivers and smothering its previously pristine beaches. “Our country is drowning in plastic” says Kevin Kumala, Chief Green Officer at the company. The problem has become so acute that the army has been drafted in to help clear the waste. But it’s an uphill struggle. As they clear the waste, more appears. Plastic pollution is a problem all over the world. Each year, at least 8 million tonnes of plastics find their way into the ocean, the equivalent of dumping the contents of one garbage truck into the ocean every minute. Sea life and birds die from eating it or getting tangled in it. The plastic is also broken down in the ocean, becoming small enough to enter the food chain. Only 14% of plastic packaging is collected for recycling, while most plastic packaging is used only once. In addition, 95% of the value of plastic packaging material, worth between $80 billion and $120 billion annually, is lost to the economy. It’s a massive problem, but one that has prompted many to try and find a solution. The New Plastics Economy, an initiative by the Ellen MacArthur Foundation, brings together key players including innovators and manufacturers, to rethink and redesign the future of plastics, starting with packaging. The basic idea is to turn plastic’s linear economy - use it and discard it - into a circular one, where the plastic can be either reused or recycled. One of the Foundation's major projects is a $2m New Plastics Economy Innovation Prize. The prize is split into two parts, The Circular Design Challenge, which invites ideas on how to change the way packaging is designed, and the the Circular Materials Challenge, which invites ideas on how to replace plastic with other materials. Among the winners of the design challenge is one that attempts to solve the take-away coffee problem. More than 100 billion disposable coffee cups are sold globally every year, yet hardly any are recycled. 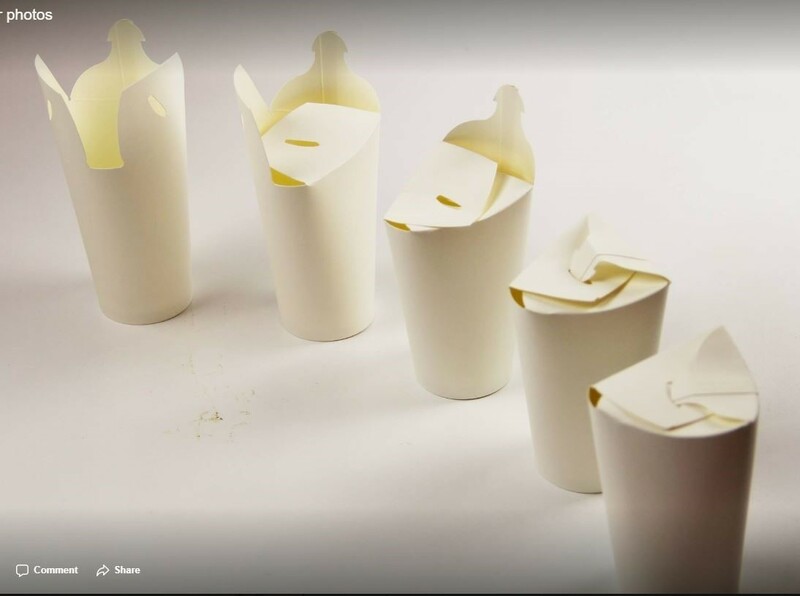 US-based start-up Trio-Cup has designed a disposable paper cup with an origami-like technique that removes the need for a plastic lid. It’s made from a 100% compostable material. Among the winners of the materials challenge is VTT Technical Research Centre of Finland, with packaging that looks and feels like plastic, but is made from wood. The substance is a compostable multi-layer material sourced from agricultural and forestry by-products, which could be used to package products like muesli, nuts, and cheese. In theory, this type of packaging could replace up to 15% of the current plastic barrier film market. Plastic waste clogging up Jakarta’s waterways is the inspiration for the materials challenge design by Evoware. The company has designed a solution to the single use food wrappings, such as sauce sachets and food wraps, that are so small that they escape collection and end up on beaches, in rivers, or the ocean. 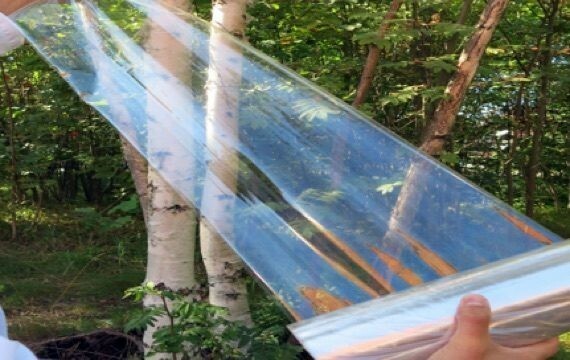 It has made food wrappings and sachets out of a seaweed-based material that can be dissolved in water or eaten. It can even feed plants - it's100% biodegradable and contains vitamins and minerals, making it a natural fertilizer for plants. The winners of the innovation prize will join a 12 month accelerator programme, in collaboration with Think Beyond Plastic, working with experts to make their innovations marketable at scale. 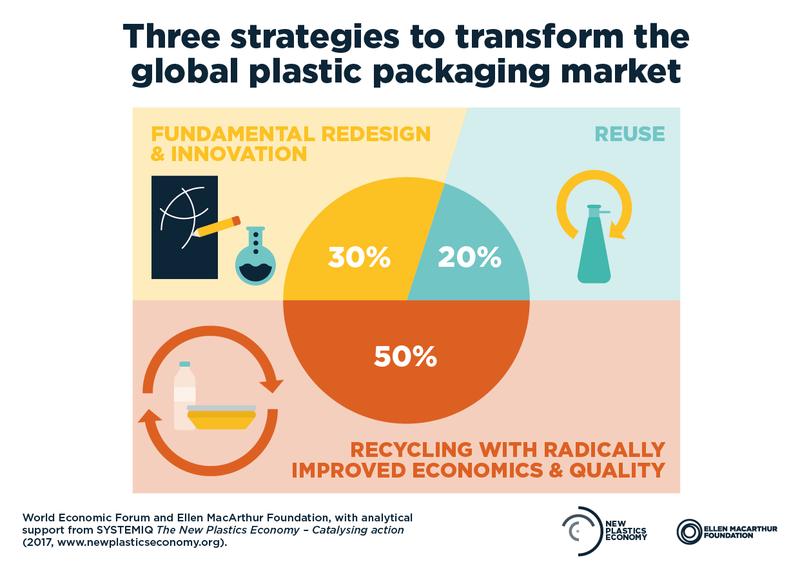 However, while the winning innovations represent the type of solutions we need to build a plastics system that works, these entrepreneurs cannot drive the transition alone, says the Ellen MacArthur Foundation. Businesses, policy makers, and investors too, need to make clear commitments and collaborate towards a circular economy for plastics.